I have to say I’ve often believed that I knew more about Scripture than some of the male pastors and teachers I sat under. Sometimes, I actually did! I remember times I wished I could bump a guy out of the pulpit so that I could correct errors in his preaching. But of course, God’s Word clearly states that women have no business teaching mixed groups or holding positions of authority over men within the church. The question of women writing Christian blogs naturally arises as we wrestle with this passage, as I’ve already mentioned in my post, “I Can, But That Doesn’t Mean I Should.” This past week, my fellow blogger and online friend Elizabeth Prata wrote “What about a woman who blogs? Is she violating scripture by teaching men?” I passed her essay on to my husband, who agrees with pretty much everything she wrote. Elizabeth’s article both offered me freedom and helped me establish boundaries in terms of The Outspoken TULIP. Certainly, I know men who could learn a thing or two from many of my posts, but they could also learn those things (and more than likely learn them better) by reading blogs authored by men. Sure, it flatters my ego when men let me know that they’ve read my posts. 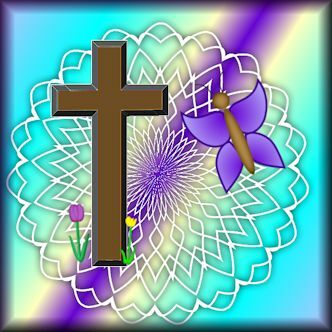 But I do this blog in order to honor the Lord, not to puff myself up. Tony Miano’s post, “Christian Women Bloggers: Maintaining God-Intended Femininity,” is perhaps the most helpful contribution to the conversation on Christian women bloggers that I’ve read to date. His point about behaving in ways that become femininity struck a chord with me. I want to be lady-like as I encourage women toward discernment. So yes, I direct this blog toward women. If men read it, I pray they’ll do so with the goal of screening my theology before passing it along to their wives. God’s Word limits women to teaching women and children, and I want to remain as faithful and obedient to Him while using my natural gift of writing and my spiritual gifts of teaching and exhortation. I desire this blog to exalt Christ by both proclaiming and obeying His Word. Yesterday, John and I took advantage of the one “good weather” day of this week by visiting the Isabella Stewart Gardener Museum. As I often do when I take advantage of Boston’s myriad of historical attractions and cultural opportunities, I wondered why the Lord has given me so many earthly blessings. Living in the Greater Boston Area has definitely given me experiences that delight me, causing me to praise God for sovereignly bringing me here. Yet I know I don’t deserve His grace in bringing me to this magnificent part of the country. In savoring the memories of yesterday’s excursion, I see an interesting juxtaposition between the rarefied privilege of seeing great art (including sketches by Michelangelo and Raphael) and the short passage of Scripture that John and I read earlier that morning. “Every spiritual blessing,” Paul says. 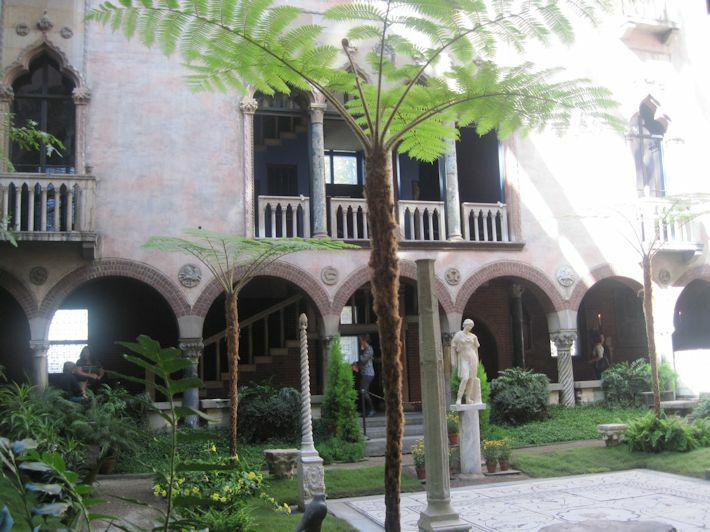 And yet, I so easily content myself with temporal blessings like visiting the Isabella Stewart Gardener Museum. It seems, actually, that most people, when we think of blessings, almost always think of the good things in life here and now. Sometimes we even attribute those good things to God, rightly acknowledging His worthiness of our praise and thanksgiving. I have every reason to praise and thank Him for all that He does for me. But as I admired the splendid courtyard at the Museum’s hub and gazed on the rich paintings and enormous tapestries, I realized that it was all worthless junk in comparison to the treasure of belonging to Christ. And Boston, the city I love with a passion, could never fill me with the joy and wonder of heaven, where I’ll finally see the face of my glorious Savior. How I worship Him, even now, for graciously saving my from my sin and clothing me in His righteousness! All the truly wonderful things the Lord has allowed me to enjoy now seem so superficial when I measure them against the spiritual blessings that the Father gives me in Christ. Yes, I praise Him for yesterday’s visit to the museum. I had a fabulous time! But I praise Him even more for those spiritual blessings that I’ll enjoy in His eternal kingdom. My heart breaks as I watch young people (and sometimes not-so-young people) reject the guidance God gives us through His Word in favor of the world’s supposed wisdom. Several people I love have wandered from the precepts of Scripture and, as a result, have greatly damaged their lives. I could have made the same mistake. But in His mercy, the Lord kept pulling me back to His Word, guiding me to live in repentance and obedience. As I learn His principles for living a holy life, I find myself following Him. Far from a mystical experience, I simply apply His Word in various situations and then see His providence as He orders my circumstances. Today’s hymn reminds me of His faithfulness in directing my life. I pray that my prodigal loved ones will return to His leadership so that they can sing songs of praises to Him. Why Blog About Cannoli Quests? This past week, I’ve been enjoying the DVD of Julie and Julia (courtesy of Netflix). I loved the story of Julie Powell’s blog, and found myself identifying with many of her emotional responses to blogging. Of course, I found myself nurturing feelings of jealousy that her blog gained such notoriety, especially thinking that my last blog never exceeded 200 views in a single day…even after 9 years. This blog has gotten up to 63 hits on its best days, which tells me that most of my old readers have not followed me over here. John pointed out that more people care about food than about Christianity. Well, yeah. He makes a good point. If I blogged, for example, about the joys and challenges of navigating Boston in power wheelchairs, I’d probably attract more readers. But that sort of blog no longer interests me. Whether Jesus returns during my lifetime or 2000 years from now, I believe that Christians in the United States have very little time to publicly proclaim the Gospel. Furthermore, I believe way too many people who call themselves evangelicals have abandoned clear Biblical teaching in favor of “Christian” fads that feed their fleshly appetites rather than drawing them to the meat of God’s Word. In addition, I turn 62 this week. Consequently, I feel what few abilities I have slipping away. To put it bluntly, I enjoy typing less and less as it requires more and more time and effort. So far, I still take pleasure in blogging, but I realize my body won’t let me type this much forever. 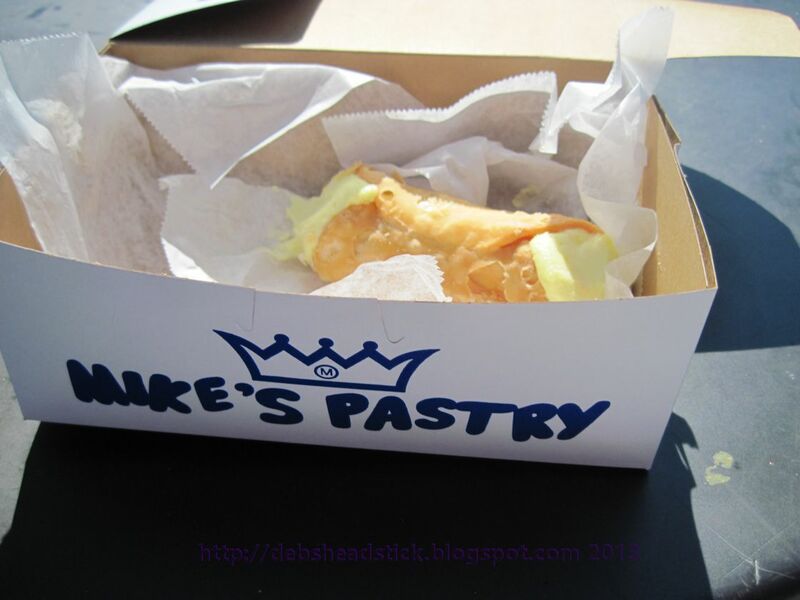 I don’t want to waste what little time I have blogging about driving my wheelchair through Boston’s North End in search of cannolis when I can use that time to call people to the Lord. Sure, I’d like higher numbers in my blog stats for selfish reasons (I’m not going to lie). But I also have more noble reasons. I want more people to know the Lord, and I want more professing Christians to make sure they follow the true Jesus. I earnestly believe Biblical Christianity is on the brink of having to go underground in my country, so I sense an urgency to get the Gospel out to as many people as possible. Julie Powell only offered a narrative of cooking through Julia Child’s recipes. I proclaim the eternal Gospel of the Lord Jesus Christ. The 498th anniversary of Martin Luther’s launch of the Protestant Reformation is 36 days from now, and I plan to blog more extensively about it at that time. The excitement over Pope Francis’ visit to the United States, however, causes me to wonder if 21 Century American Protestants remember why we left Roman Catholicism in the first place. I anticipate sharing more detailed posts about the Reformation and its doctrinal foundations later next month, but today I simply want to voice my frustration over the adoration that overflows for this man…especially from those who represent evangelical teaching. 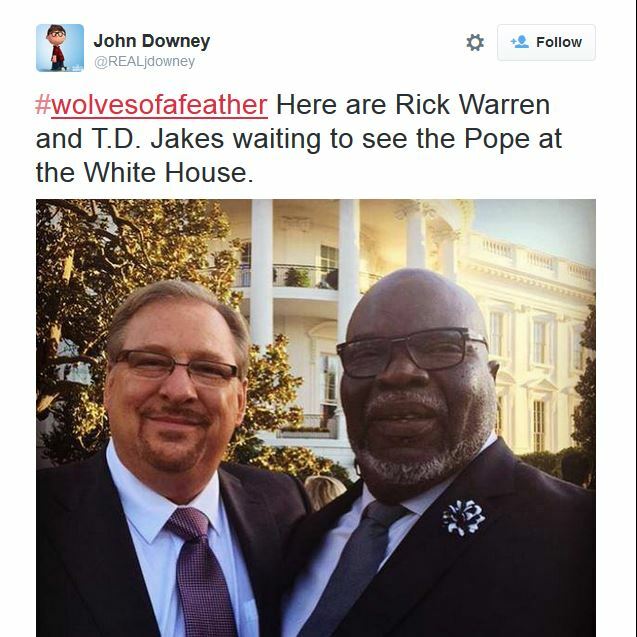 Of course, Warren completely ignores that the Council of Trent, which convened between the years 1545 and 1563 in reaction to the Reformation, specifically repudiates the foundational teaching that salvation comes solely by faith in Christ’s work on the cross. Consider Session VI, Canon IX of that Council. The Council of Trent still stands, even after Vatican II. Therefore, official Catholic teaching directly contradicts Galatians 2:16. In its dogma that salvation requires human cooperation in addition to Christ’s work on the cross, they preach a very different gospel than the Gospel that the great Reformers saw in Scripture. God’s Word condemns those who preach false gospels. I have no quarrel with Roman Catholics and those who don’t claim to be Protestants swooning over Pope Francis. But Protestants (and especially evangelicals) need to remember the Biblical doctrine for which men and women of the Reformation suffered and died. Doctrinal purity mattered a great deal to them at that time. Shouldn’t it matter just as much to us? Yes, this talk by Phil Johnson lasts for a little over an hour, but you could always listen to it while you clean house or work on the car. It addresses several assumptions of Charismatic theology much better than I could. Many teachings and practices in contemporary evangelical culture trouble me so deeply that I feel compelled to comment on them. Each time we attempt to blend Scripture and worldly wisdom, we erode God’s Word just a little bit more. We institute the same errors (repackaged so that we don’t recognize them) that the writers of the New Testament epistles sought to correct. While I grieve that 21st Century evangelicals have repeated the mistakes of the 1st Century, I welcome the opportunity to stand for Biblical Christianity. Having said the above, I see a danger in focusing so tightly on the problems within evangelical circles that we lose sight of Christ Himself. I advocate for sound doctrine, yes. Absolutely! But I don’t regard sound doctrine as an end in itself. Rather, I cherish it as the means the Holy Spirit has provided to reveal Christ to us. As Biblical doctrine reveals both Christ’s nature and His perspective on a variety of matters, I gain intimate knowledge of Him. I know how He views various issues because Scripture addresses those issues. Therefore, I read the Bible out of my desire to know Him and adjust my life in accordance with His values. I study His Word as abundantly more than an intellectual exercise (although I definitely engage my mind), but also as impetus to worship Him. I love this passage because it teaches Christ’s deity, His majesty and His humility in dying for us. I can’t read it without being drawn to worship Him as my Creator and my Redeemer, as well as the centerpoint of His creation! These rich words remind me that everything revolves around Him to bring Him the honor and glory that He alone deserves! Understanding doctrine and proper application of Biblical principles can’t serve merely to stimulate our intellect. As 1 Corinthians 8:1 says, knowledge for its own sake does little more than inflate the ego. 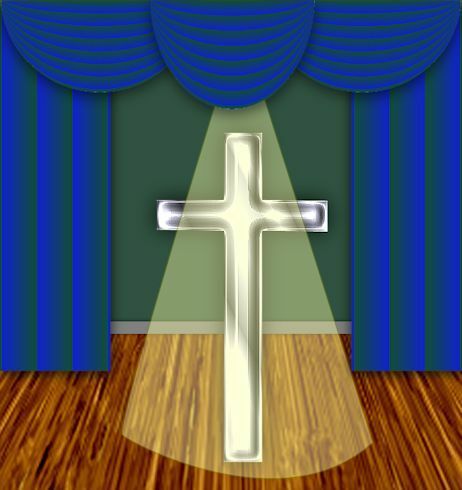 I will examine false teachings and disturbing trends within evangelical circles, measuring them against the Word of God, but not for the purpose of impressing people with any theological skill I might have. Instead, I desire to draw you back to the Bible’s purity, which in turn will turn your attention to the Lord Jesus Christ.